I understand that this building is no longer standing. Just checking through, as yet unanswered posts. Some Googling threw up some newspaper ads but I didn't go into them further or take up the prompt to save for ancestry research. Do you have an interest in poultry-related history, Baringo? I don't know what is at the address now. Is it where the Roma St Parklands were created? Someone with a keen interest in Brisbane history may know. I vaguely recall that Red Comb house was on the other side of Roma St from where the parklands are now, which were formerly the fruit and veg markets. Andrew is correct on the Redcomb site As a Legbar breeder he would interested to know Redcomb had a facility in the Zillmere area where laying trials were carried out for years over many long periods [6 months or more I have been told - maybe 12 ] ,breeders - mostly professional Hatcheries entered teams of hens about 12 or more I think ,egg aggregate - quality, hens deaths were totaled up, fed on Redcomb - naturally. These trials were often won by Mr Eddie Pocock's Gold Legbars that he bred . He also bred Champion White runner ducks, I had some of his Legbars years ago,but alas they are no more.Winning the laying trials was a big feat in my opinion as he was a backyard breeder! He had a pretty big yard tho'. 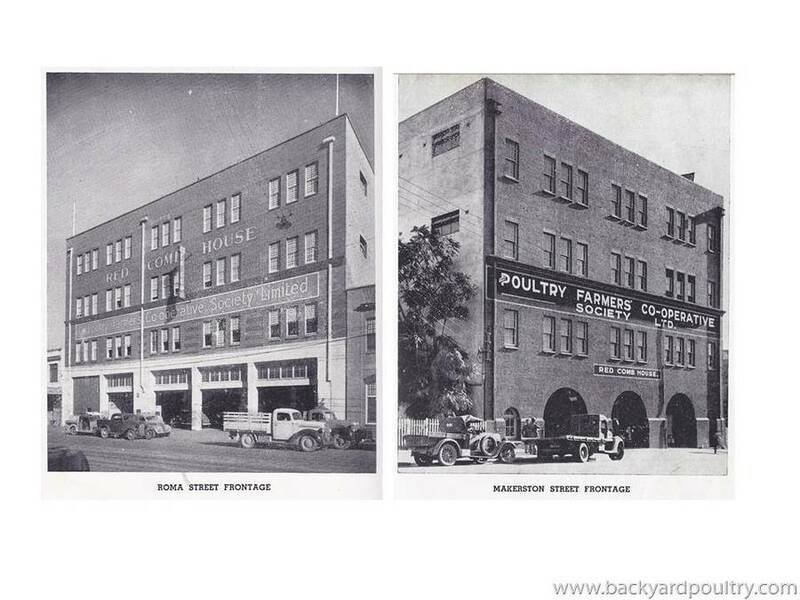 My information came from Mrs Jean Lindsay of Caboolture - her husband Jack owned a hatchery next to Sheepstation Creek in Morayfield Road , they were friends of ours, unfortunately both have passed away ,Jean in recent months Jack entered hens at Zillmere.too.